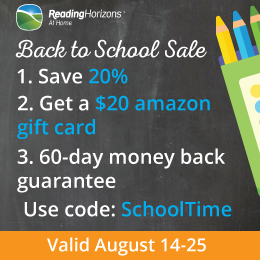 Bible Road Trip Curriculum SALE! The only thing better than hearing my daughter read the Bible is the fact that my struggling reader is reading scripture! On a few occasions I had to work during our homeschool day and she did the lessons on her own, then we discussed later. While that is not the ideal way to do it, it worked. Not only did it work, it was her idea. She didn’t want to miss a day of Bible Road Trip. We started using the program because of Minecraft. Now we are continuing it without the minecraft aspect. I still want to intertwine minecraft and homeschool, but not like we were – mainly due to the fact that we are down a computer and the high school and college students need the computer more than she does for Minecraft! One thing we are continuing is daily teaching through Bible Road Trip. My favorite aspects about the program are that the questions are so thought provoking and the activities span all ages. Guess what?! Bible Road Trip is on sale for 50% off! Sale ends November 11th. Get your curriculum now! This curriculum has helped the Bible come alive for my daughter. We have had some of the best discussions. School is not always easy. Combining it with the Word of God brings a peace and refreshment to our homeschool day.